i am an architect in the field of social innovation and a chef who practices her art in “the studio of the extraordinary.” i help create spaces to collectively cook up concoctions and processes that help transform our inner and outer worlds. i am a writer and former publisher of ascent magazine, a masters of architecture, systems thinker, yoga practitioner, an intentional nomad and founder of the Conscious Kitchen. 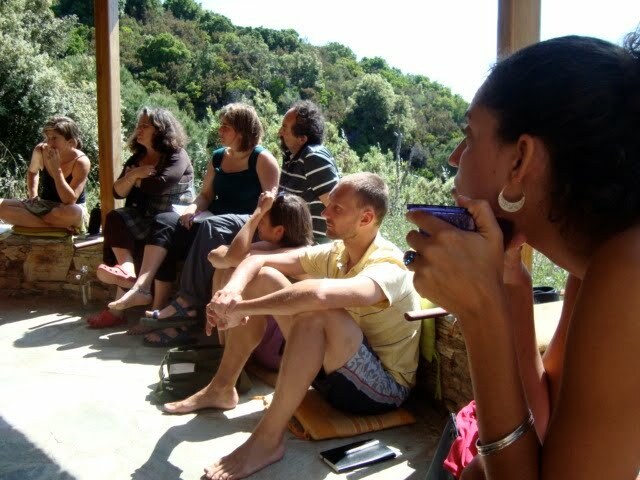 Now based in Jerusalem, i work translocally in Canada, Europe and the Middle East stewarding and co-creating practices to move skillfully through transitions and life-cycles - with emergence and newness as much as the transformative potential of endings through Conscious Closure. i was executive director of Santropol Roulant, an innovative non-profit founded by young people that uses food as a catalyst for social change, and am part of leading emerging movements of social innovation and systemic transformation in the UK with the Social Innovation Lab and Tasting the Future. an avid seeker, learner, who quests ... i am right now immersed in the inquiry of how can we access a deeper source of intelligence - through our collective unconscious, our shadows, the archetypes, myths, the wisdom traditions, the devas and energetics, the intelligence in the Earth, from our ancestors... that we've simply lost the skills and capacities to invite back in... so we can be more intelligent, and evolve into our next level of humanity, community and consciousness? i am a steward of the Berkana Exchange, a guardian of Axladitsa-Avatakia and with its stewards, Maria and Sarah, we are co-founding the Living Wholeness Institute. there are many ways of collaborating, co-creating, working together. the best way to know what's really bubbling is for us to have a conversation by skype, phone or email and/or to meet in person to begin to sense what's possible, what's wanting to emerge, and how we might practically set forth on a path of conscious creation.